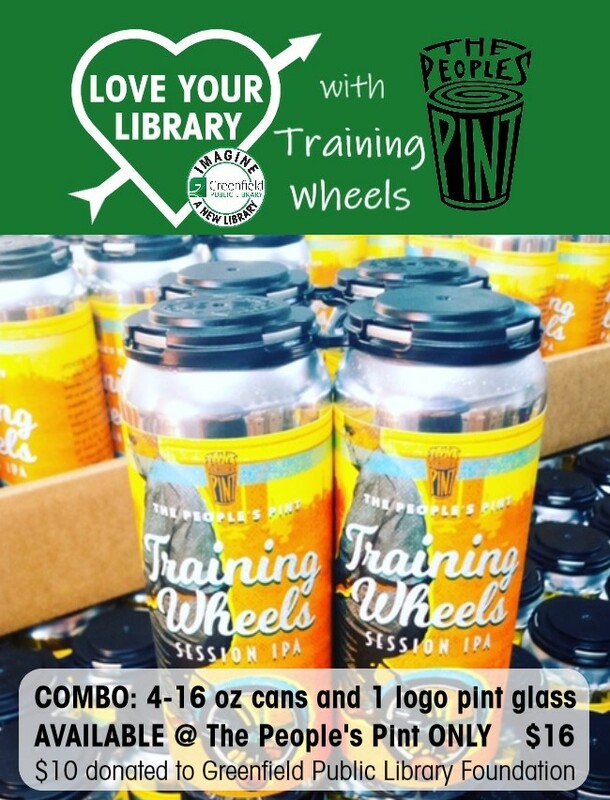 Raise your People's Pint glass of Training Wheels and toast to a new library building! Description: This combo includes a 4-pack of Training Wheels 16-oz cans and a People's Pint logo pint glass for $16 for purchase at The People's Pint only. The People's Pint will donate $10 from each combo purchase to the Greenfield Public Library Foundation.